22-Apr-2019 Still buying EKOVEST? Why dont you start accumulating ADVANCECON share now? The 100% confirm beneficiary from ECRL and Bandar Malaysia Project. 22-Apr-2019 Saga of Bandar Malaysia- Why Ekovest should be the next vehicle for IWH? Ekovest Bhd is a Malaysia-based company principally engaged in investment holding and civil engineering and building works. The group's operating segments are business units engaging in providing different products and services including Construction operations, Property development, Investment holding and Toll operations. The operations of the group are entirely carried out in Malaysia with the majority of the revenue generated from Construction operations. wilsonboon Maybe the provate placement to third party is to CREC. indiawait Management building up cash with this placement and the cash coming in from the warrant expiry. Will probably take the lead in the project. Kingston1 Its coming !!! Huat ahhhh botak !! tebrauteguh Go ahead and spread all the negative chi that you want. PandaMan Dun chase away who sold thoer eko shares... They have buy low. vincent27 tomorrow is T3 last day for those who chase on monday high. WhoIsSelling Wah Lim Kang Kung and his desperate boys busy on this i3 trying to convince us to buy as he is trying to sell and EXIT. Common sense lah. So high volume and so many blocks traded – who have these shares to sell in the 1st place?? Obviously Lim Kang Kung is exiting and balik kampung tanam jagung. If you small players don't want to end up eating jagung for the rest of your lives, don't be fooled by these idiots asking you to buy. Because if it is really worth buying, everybody will just buy and not ask other people to buy and benefit more than themselves. Game over la for Lim Kang Kung. At most today can goreng a bit more. By tomorrow total collapse. Azan Rasul 2 days before you say tomorrow collapase limit down. Yesterday you said today collapse limit down. Today you say tomorrow collapse limit down. astalavista Well done Oregami ! hollandking you ppl feel happy cheating ppl money? jutawansenyap As mentioned, 87 cents is the lowest price.congratulation those who average down this morning. lcon8888 Today is golden chance, time to sell. CleverMoney Looks like the PP is to himself or his own people so no point la. Time to sell. Impossible to make profits he already. Better go to Yinson. At least can make 10-20% there, far less risk than this counter facing T3 at closing bell 5pm. In the afternoon will be big seller's market already. Sell now. I told earlier man. The pattern and chart is so obvious what the shark has been doing. Oracle of Omni Agree with Icon8888, the risk is bigger than rewards now. Oracle of Omni Without further good and hot news release, the share is likely to churn or consolidate for a while, at the most it will up few cents a day just like this morning. You can't expect any limit up or down instantly without news. sosfinance Not sure Duke 3 will benefit from Bandar Malaysia. sosfinance I have read somewhere the existing Duke is due for toll increase in 2019. Anyone know what month is it? DaimThinks Some crazy syndicate people here trying to spread rumours that Lim Kang Hoo is doing a secret deal with Tun Daim and the PP is for Daim. This is absolute nonsense. Because Daim thinks and he knows that this company is too small to handle BM. Even at present its total market cap is less than 2bil and it has total debts in excess of 7bil. Then all these nonsense people are saying this small tiny spanner (< 2bil) will suddenly grow big enough to be able to turn the giant bolts of the huge Caterpillar machine (BM) - 140bil. This is a total mismatch and only MO1 was stupid enough to believe Lim Kang Hoo that if MO1 gave BM to Ekovest, Ekovest (read as cousin Hishamuddin's counter) could save MO1 from his pending jail sentence (criminal trial taking place as we speak). If Najib with all that cash and without all the problems faced today by the country had to reject Lim Kang Hoo, do you think Daim, who is so clever, is going to fall for the Ekovest trap? Not to mention there must be so many unknown agreements between Lim Kang Hoo and MO1 and the other Big Johor person inside all those entangled commission agreements. Even the Chinese will run road. So stop using Daim's name or that he is going to use this stupid counter. Daim is just doing his job to assist the current sitting PM to save our country Malaysia, and not save Lim Kang Hoo's backside. 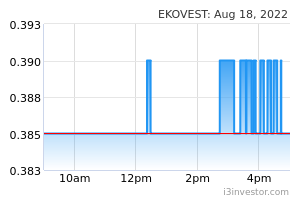 rr88 Pent up sentiment will be unleashed on both ekovest n iwcity to trade significantly above 0.97 and 1.32 respectively next week. Buy. bursa36 Bandar Malaysia is a master-planned urban redevelopment of Malaysia's first airport in Sungai Besi. The township is the country's strategic real estate development leveraged to capture high multiplier effects and to spur a vibrant economy. 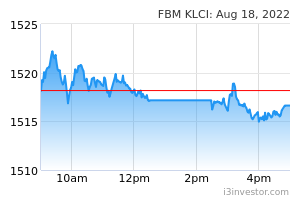 It will be developed over a 15 to 25-year period at a projected gross development value (GDV) of RM150 billion. The development is designed to become Malaysia’s new international landmark when completed. IWH, the master developer of the Flagship A portion of Iskandar Malaysia Economic Growth Corridor, is a public-private partnership between Credence Resources Sdn Bhd (60%) and Johor State Government-owned, Kumpulan Prasarana Rakyat Johor Sdn Bhd (40%). IWH owns 4,300 acres of prime seafront land in Danga Bay, Johor Bahru, within Iskandar Malaysia. The company earned a track record developing the Danga Bay project where it has gone into partnerships with 11 developers so far to carry out projects along a 8km coastal stretch. These projects will have a GDV of RM125 billion and will be done over the next 10 to 15 years. CREC is one of the world’s largest engineering and construction firms, and also has businesses, amongst others, in industrial manufacturing, real estate development, and resources and mineral products. It is currently ranked number 71 in the Fortune 500, with a turnover exceeding US$100 billion per annum. BURSA63 Ya la, even one punter here want to mislead us say LKH buy roti shop, trying to link to PM Mahathir. Nobody want to take. So cheap one ah the bribe? Afternoon session coming. After all that goreng, less commission charges and other cost, these people lose money big time. And by the afternoon still no power to go up, we better sell as T3 starts tomorrow morning for all those who are above 88 sen. Big sell order coming. Sure punctured. BURSA63 Pent up sellers stuck between 87 sen and 89 sen are 3 times more than the genuine buyers who are innocent punters being lured in by these crooks. Don't get fooled. PM already indicated there will be significant changes to the deal. For the PM to even mutter the word 'change', we should be very wary of the next 2 days. GiantPanda Probably tomorrow in Beijing Tun M and Xi Jinping will witness Bandar Malaysia signing ceremony between IWH-CREC and Malaysia.